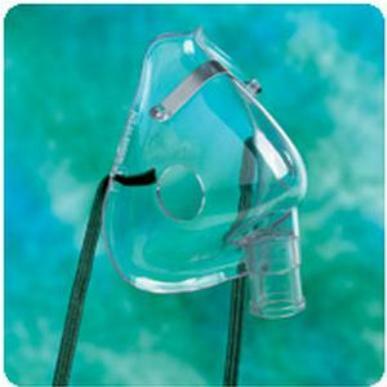 Disposable aerosol masks can be used with most handheld nebulizers for aerosol therapy. Clear, soft vinyl for patient comfort. Adjustable nose clip assures comfortable fit. Specifically designed for aerosol therapy. Connector accepts 22mm aerosol tubing.